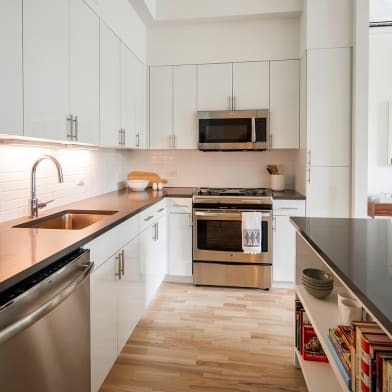 Introducing The Heritage Dean Street, a breathtaking new residential rental building situated at the intersection of three of Brooklyns most dynamic neighborhoods: Downtown, Park Slope and Prospect Heights. Developed by PRD Realty Corp. and designed by the renowned Durukan Design, each of the sixty-four (64) residences exude classic sophistication with oversized expansive layouts and high-end finishes. No expense was spared when designing the exclusive rental residences at The Heritage Dean Street, whose luxury finishes could be called the best in Downtown Brooklyn. The airy residences effortlessly combine sophisticated elegance with modern sensibility that includes custom Italian wood cabinetry with brass details, natural hardwood floors, modern detail lighting, custom bathroom vanities, sleek bathroom tiles and the convenience of premium kitchen appliances by Grohe, Fisher & Paykel, Bosch, and Blomberg. 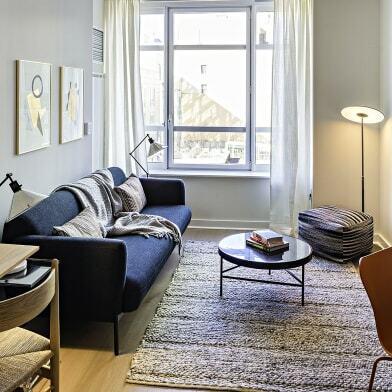 Residents of Heritage Dean Street enjoy the luxury and convenience of its comprehensive collection of amenities including lushly furnished and thoughtfully designed common spaces. When entering the building, residents are first welcomed into the designer lobby which previews the expansive elegance within. 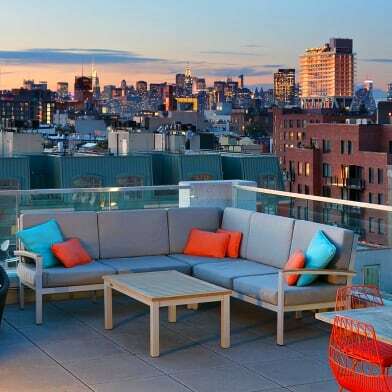 Designed in a comfortably sophisticated style, the dual sided Residents Lounge opens onto two airy sundecks; one which overlooks the Barclays Center. The Resident Lounge offers residents complimentary Wi-Fi, television and personal workspaces as well as a bar for low key private gatherings alongside a custom fireplace for cozy nights at home. 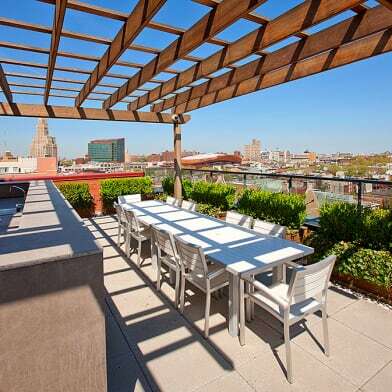 A spectacular roof deck surveys panoramic views of the incomparable Manhattan skyline, while community barbecues and dining areas are available for outdoor gatherings. Sunshine-lovers will especially appreciate the state-of-the-art outdoor gym for their morning workouts. 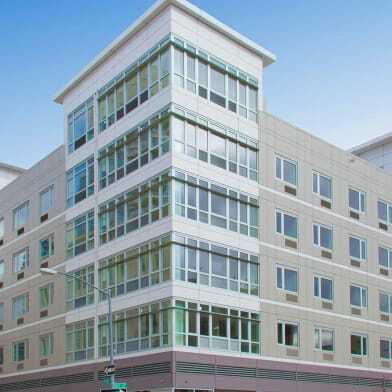 Heritage Dean Streets central Brooklyn location positions it just minutes away from some of the citys most beloved institutions including the Brooklyn Academy of Music, Prospect Park, and Barclays Center. The historic neighborhood also offers a plethora of restaurants, shops, gyms, and supermarkets. Commutes to the city are the easiest anywhere in New York City, with the Atlantic Avenue/Barclays Center Station offering the B, Q, 2, 3, 4, D, N, R, G, A, and C lines one block away. *Net effective rent advertised. Concessions advertised or otherwise offered for new tenants / direct deals only. 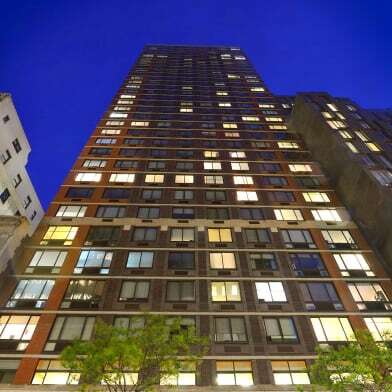 Have a question for 470 Dean Street?